Businessman David Blair is the only candidate in the County Executive race to be targeted by both negative mail and two negative TV ads. 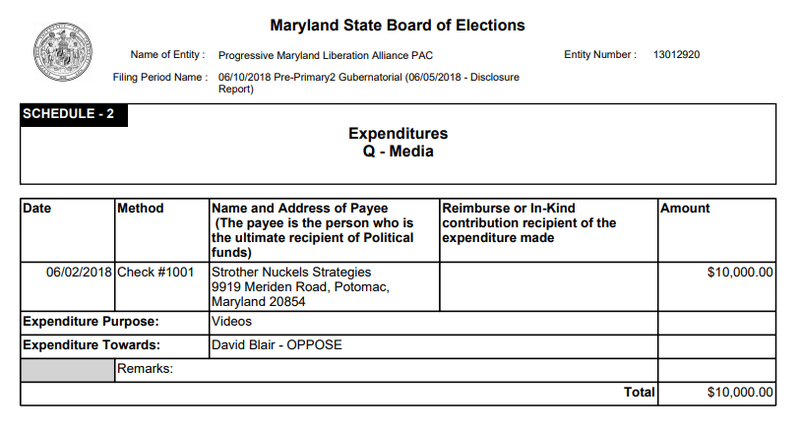 The combined expenditures for these mailers and TV ads now total over a half million dollars, making Blair the only Executive candidate to take fire on that financial scale. How do we evaluate these attacks? First, your author has a background in evaluating evidence of corporate conduct. For sixteen years, I was a strategic researcher in the labor movement. One of my jobs was to investigate companies who were targets of union organizing campaigns. I performed dozens of these investigations and it was painstaking, tedious work. The basic descriptives of the company – its business lines, affiliates, history, executives, finances, work locations, project experience, client lists, political contributions and so on – were a necessary predicate for researching its safety, labor, environmental, legal and media records. Some of the dossiers I compiled were over a hundred pages and required months of travel to assemble. I had three primary tasks: gather the information, determine its utility and craft it into communication pieces that were truthful, relevant and avoided the risk of defamation litigation. Over the years, I uncovered extraordinarily bad behavior on the part of employers including but not limited to sexual harassment, racial discrimination, threatening deportation to block union organizing campaigns, environmental destruction, bid rigging, intentionally exposing employees to lethal working conditions to save money and a LOT more. That research background gives me a standard of comparison for some of the allegations against Blair and it is partially through that prism that I write today’s post. Here are the main allegations against Blair. He is a former Republican with a spotty voting record. This is true and Blair has admitted to it. 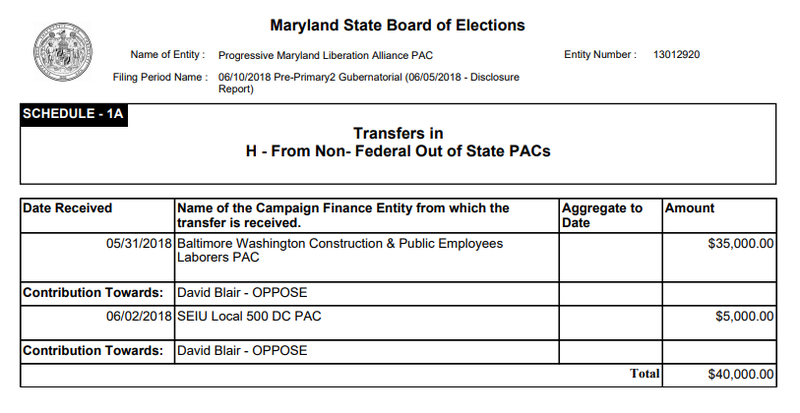 Blair is one of two former Republicans running for office in MoCo this year. The other is Council District 1 candidate Meredith Wellington, who was a Republican member of the Planning Board as recently as 2007, four years after Blair became a Democrat. Those who would pass judgment on Blair for this should hold Wellington to the same standard assuming that either is to be judged at all. He is a self-funder who has not held political office. This is also true. 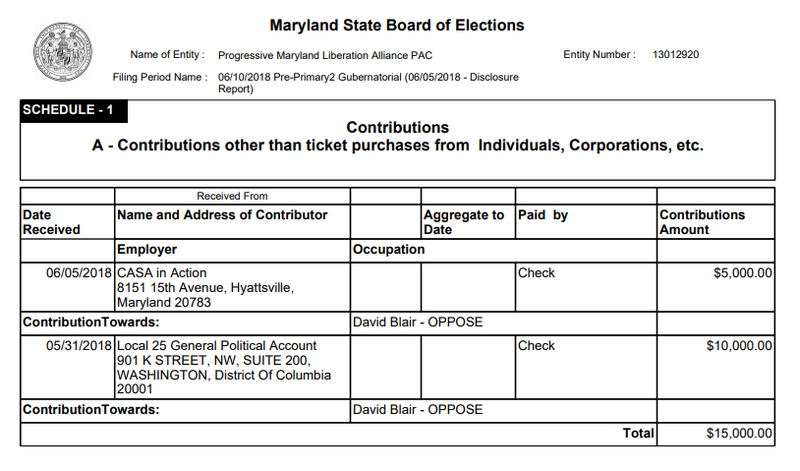 Blair is one of MANY self-funding Democrats who have run for office, including Senators Dianne Feinstein, Richard Blumenthal, Herb Kohl and Jon Corzine and House members John Delaney, Jane Harman and Jared Polis. Then there is party-hopping, self-funding former New York City Mayor Michael Bloomberg, who now spends millions to promote gun control and plans to spend $80 million to elect Democratic House candidates, acts for which he is praised by the left. And liberal self-funder Ned Lamont, who famously challenged Connecticut Senator Joe Lieberman from the left in 2006, was just endorsed by the Democratic Party for Governor. All of these politicians self-financed millions in their races so if Blair is to be criticized, so must all the rest. In any event, only one self-funder above the $200,000 level has won office from MoCo in the last twelve years. Our county’s history demonstrates that money can never substitute for a real agenda that connects with voters. One of his former companies settled a class action over disability insurance. There was indeed a settlement and there is a website documenting the lawsuit. The complaint alleges a variety of violations related to disability insurance sold by one of Blair’s companies that was endorsed by former actor Christopher Reeve. But Blair himself did not settle the case: he sold the company in 2012 and the suit was settled five years later. That means one or more of the successor entities and/or co-defendants made the decision to settle, and if Blair thought the suit was without merit, he did not get to decide whether to fight it at trial. Finally, a settlement does not equate to a trial verdict in determining the truth of a complaint – indeed, the whole point of a settlement is to avoid trial and a finding of fact either way. The Blair campaign commented on the suit here. We are an Internet Service Provider, e.g., We are Not Responsible For and Do Not Necessarily Hold the Opinions Expressed by Our Content Contributors. It should go without saying that with hundreds of thousands of registered users, and tens of thousands of diarist/bloggers, there is great diversity in thoughts and opinions. So just because you read it on the site doesn’t mean “the site” said it or thinks it. That would make for a very schizophrenic site. The Daily Kos itself does not represent its content as fact-based. Accordingly, without further investigation, an opinion article of this kind does not automatically deserve the presumption of truth. A still shot from Progressive Maryland’s ad. This came up all the time in my work for the labor movement as fortifying our communications against defamation suits was a very high priority. For everything we said about a targeted employer, I had reams of paperwork (usually court records) to back it up. I am confident that my union’s attorneys would have blocked me from using something like the Daily Kos article unless I had interviewed the author and acquired documents to back up his or her statements. And even then, our attorneys probably would have still blocked it as unverified by a traditional media organization, government entity or court. 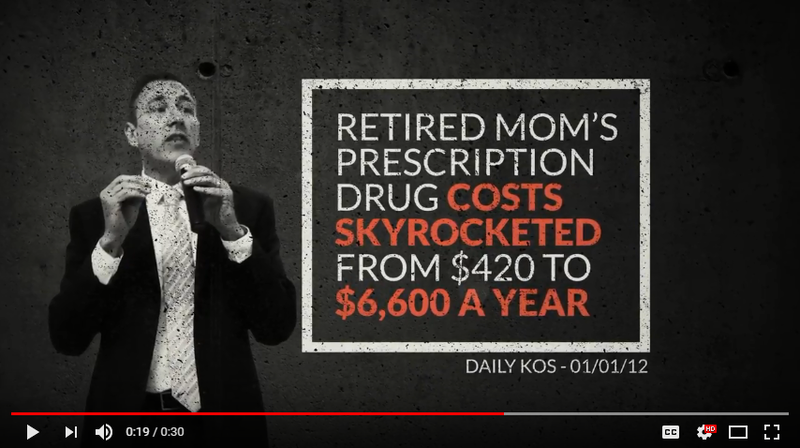 Finally, the way in which Progressive Maryland’s ad characterizes the settlement and the Daily Kos post is very problematic. The ad said, “Blair’s company jacked prescription drug prices and another company sold virtually worthless disability claims.” It would be truthful to say that Blair’s companies were accused of these things. But allegations from settled claims that were not decided in court and an opinion blog post should not be characterized as objective facts. It’s these kinds of loose standards that make people so skeptical of political ads. David Blair is equivalent to Donald Trump. This one has been made in both negative TV ads and by Blair critics too numerous to count. Another still shot from Progressive Maryland’s ad. Equating Blair to Trump fundamentally misjudges the nature of Trump. If Trump’s sole failings were his wealth and inexperience, he would be no different from all the many other self-funders who run for office. The real reason why Trump is the Anti-Christ of progressive politics is that he is a vicious racist, misogynist and xenophobe whose narcissism is matched only by his greed and stupidity. He is literally separating children from their parents and jamming them into detention centers. And that’s just a start! Saying that Blair is the same as Trump is over the top. 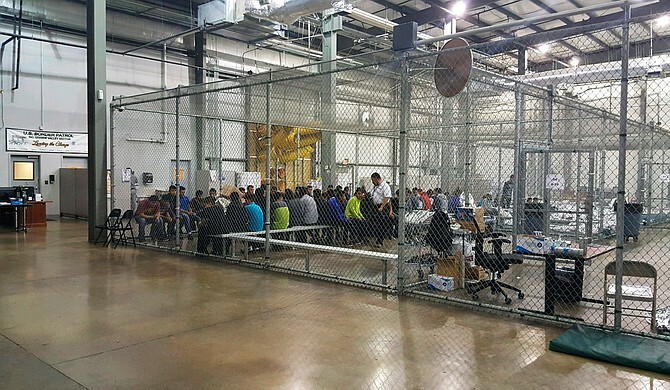 Trump is holding immigrant children in cages like this one. David Blair is not Donald Trump. Our judgment on Blair is that he has his liabilities, especially being a former Republican and desiring high office without prior elected experience. It’s understandable that voters might choose to oppose him on those grounds alone. But critiques of his business record pale in comparison to the dozens of investigations your author conducted in the labor movement. And his critics’ claims that he is equivalent to Trump are out of bounds. Furthermore, we give him credit for highlighting economic competitiveness as one of his core themes as it aligns with our many concerns on that issue. Whatever its outcome, we eagerly await the end of this increasingly brutal campaign. 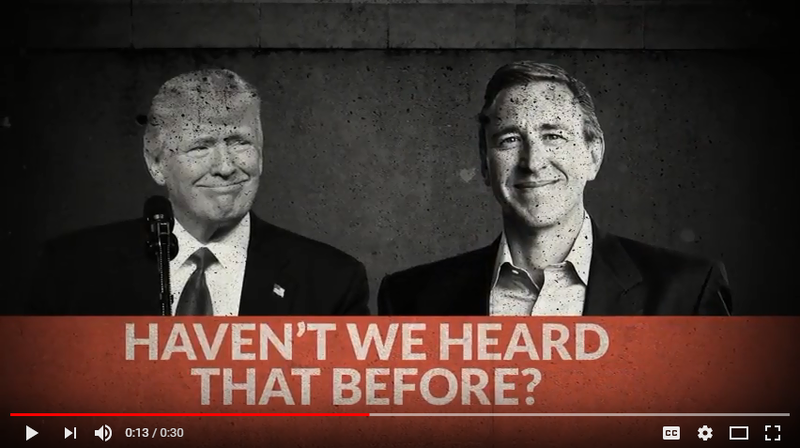 As chronicled by both Seventh State and the Washington Post, this is the attack ad being run by a group of unions and Casa in Action against County Executive candidate David Blair. Unlike Roger Berliner’s ad, this one has no positive component to it. 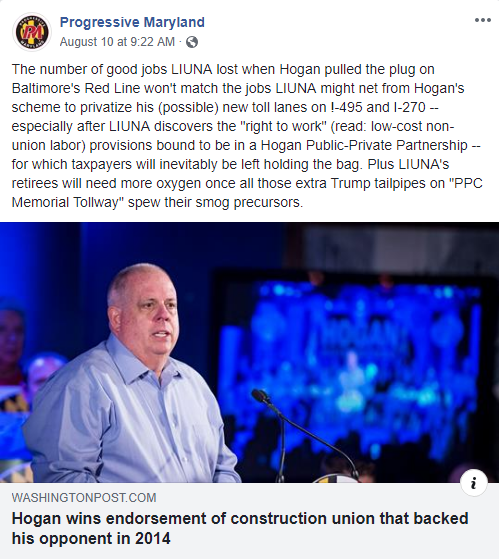 We have consulted many of our sources who have been in MoCo politics for decades and none can recall a more negative TV ad ever run in a Montgomery County Executive campaign.